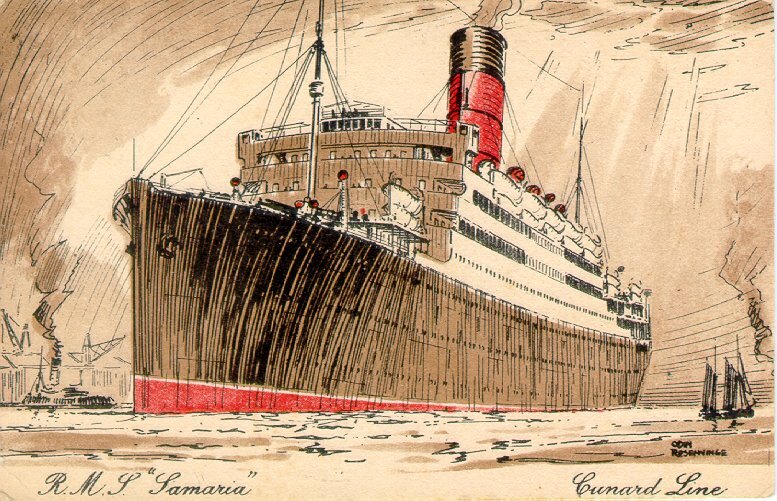 The younger sister of Scythia, Samaria was Cunard's second ship with this name. Launched at Cammell Laird & Co., in 1920, she was the largest ship built on the Mersey up to that time. 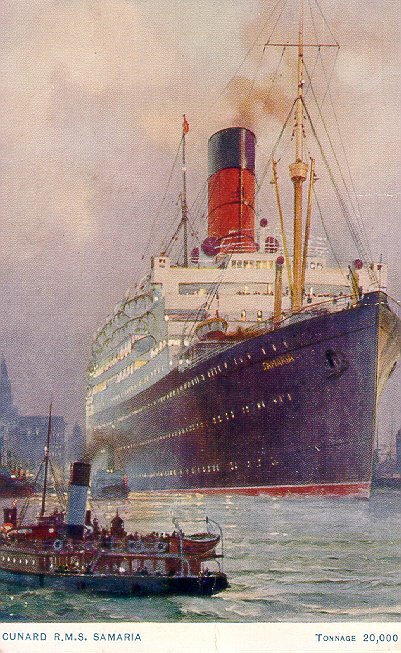 Her maiden voyage, on 19 April 1922, was from Liverpool to Boston. Later, her route was extended to include a stop in New York after Boston. 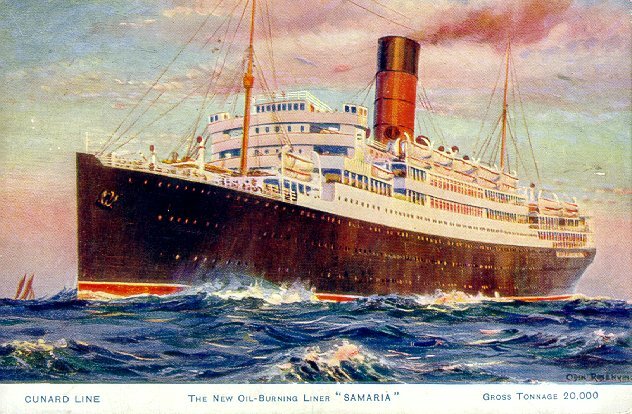 Samaria was used extensively for cruising, beginning with round-the-world cruises in 1923 and 1924. She was also used for winter cruising out of New York in 1928, followed by cruises from Ireland to Lourdes and Fatima that summer and summer cruising out of London in 1934. Samaria was also used as a backup ship, taking the place of Cunarders under repair or being overhauled. 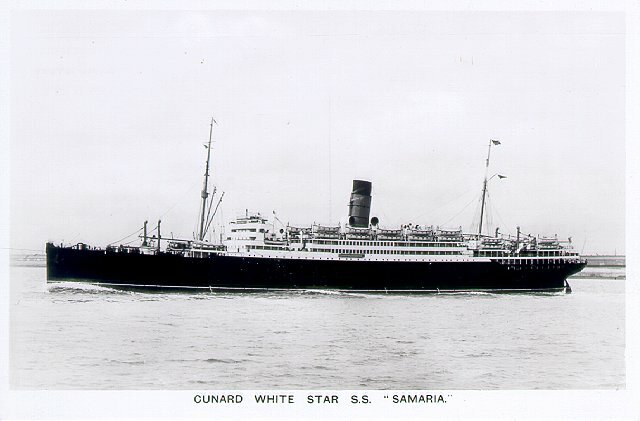 Converted into a troopship in 1939, Samaria was returned to Cunard in 1950 and, after a full overhaul, she returned to service in 1951, joining Scythia on the Canadian route. Laid up in December 1955, Samaria was sold for scrap in 1956. Sources: Haws' Merchant Fleets, Bonsor's North Atlantic Seaway.